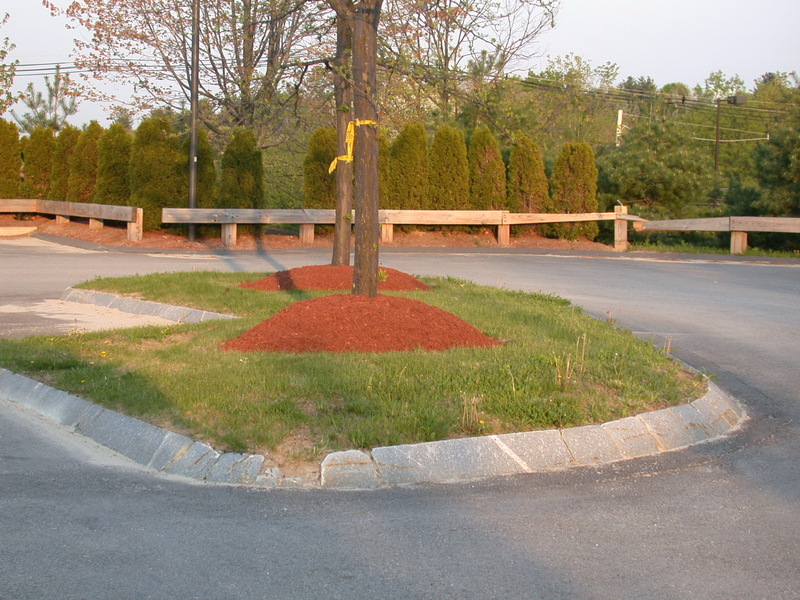 Photo 1: Over-application of mulch around base of trees creating "volcano" effect. 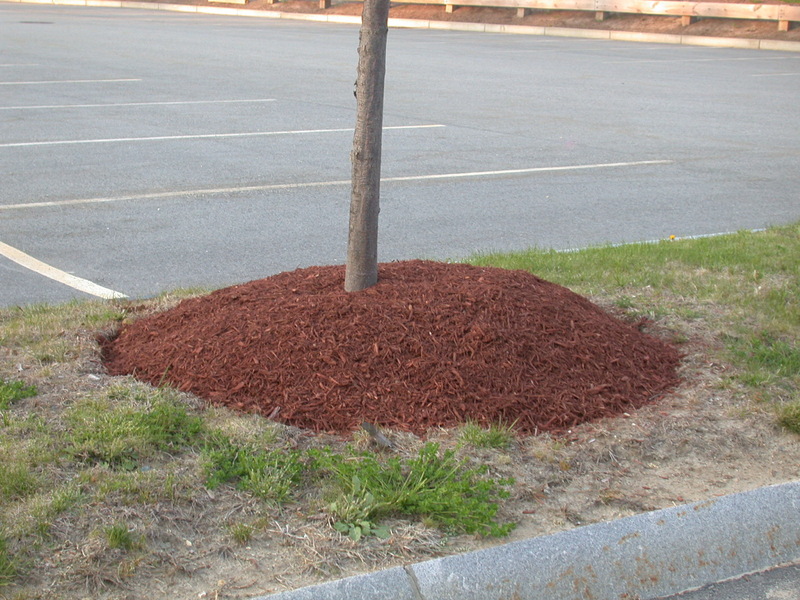 Photo 2: Over-application of mulch around base of trees. 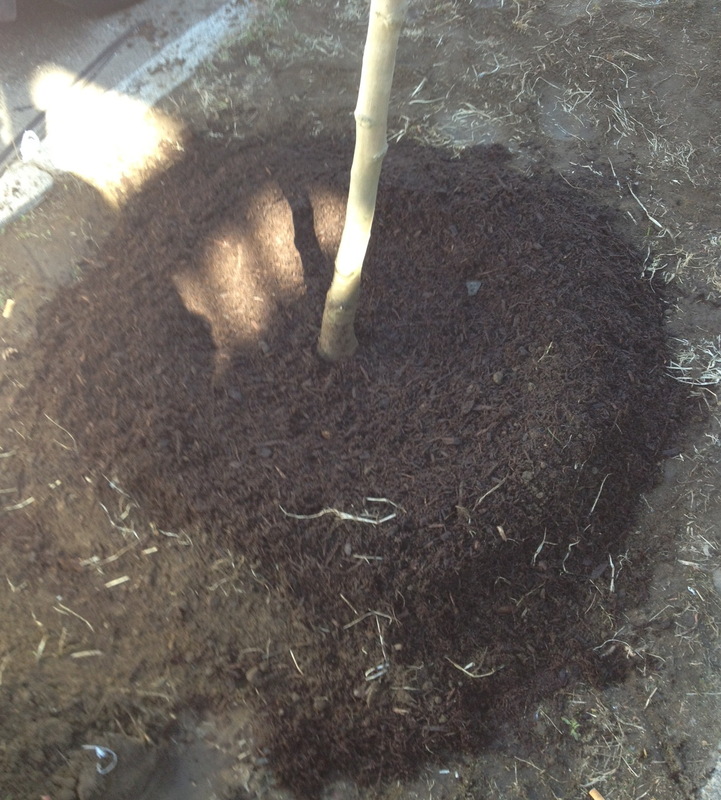 Photo 3: Mulch applied properly around tree, with no much contacting the bark of the tree. 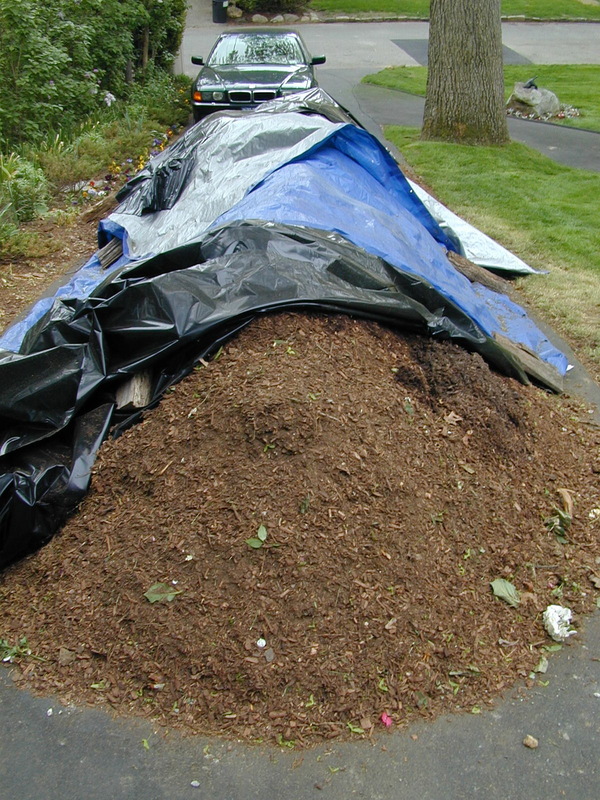 Photo 4: Mulch pile that has been tarped down to hold in place before application. With concern associated with the use of pesticides in the urban environment, experts usually agree that landscape mulches should be the first line of defense against weeds. The proper use of mulch, after all, can go a long way to preventing the need for herbicide applications – especially around newly planted trees, in landscape beds and along outdoor trails or paths. Mulch – which comes from the term ‘molsch’ meaning ‘soft’ – may be separated into two fundamental categories: organic and non-organic. Organic mulches are plant derivatives and include chipped/shredded bark, cocoa or buckwheat hulls, hay, straw, deciduous leaves, conifer needles, grass clippings and compost; their non-organic equivalents include stone aggregate, river rock or pebbles, marble chip, crushed brick and recycled shredded rubber. Each type of mulch offers positive and negative characteristics that should be given careful consideration before use. Shredded rubber for example, may be persistent and inherently low maintenance, however, it was determined to be more combustible than other types of mulch and may create a serious disposal problem. The timing of a mulch application may also be critical relative to weed control. If summer annual weeds are the dominant herbaceous weed problem, mulch should be applied in the spring. Alternatively, mulch should be applied in late summer/early fall if winter annual weeds are the main concern. Urban trees and other woody ornamentals that are being established in a park or landscape-type location such as a greenway or garden setting should be mulched after planting, to a depth of three to four inches, with no mulch contacting the bark of the tree. Herbaceous perennials on the other hand, require an application of only two to three inches of mulch. Once mulch is placed, disturbances like hoeing, hand weeding and foot traffic should be avoided to the extent possible, as the mulch “barrier” performs best relative to weed prevention when left undisturbed. Finally, while mulch can be used to smother very small summer and winter annual weeds, as well as seedling perennial weeds, it should not be applied over established perennial weeds. Perennial weeds should be eliminated before mulching is initiated. From a weed-management perspective, non-organic mulches will usually offer superior performance. Materials like stone and marble chip do not hold moisture, and therefore, are not as conducive to weed germination, establishment and growth as the organic, plant-based mulches. Organic mulches that are lighter in color typically perform better than those that are darker in color, however. Lighter-colored mulches absorb less solar radiation, and therefore tend to be cooler. Since there is a direct relationship between temperature and microbial activity, they provide less favorable conditions for weed germination, establishment and growth. Coarse-textured organic mulches will normally perform better than finer-textured mulches. The larger, coarse-textured fragments of mulch dry out more readily after irrigation or rainfall and similar to temperature, there is a direct relationship between moisture and the germination of the weed seeds, and seedling survival. Regardless of texture, however, organic mulch products typically require more attention than those that are non-organic since they inevitably break down and require reinforcements. Compost mulches are typically dark in coloration, readily retain moisture, and are usually fine-textured. They may contain a significant amount of nutrients (i.e. nitrogen, phosphorus) as well as viable weed seed. Thus, compost is generally not recommended as a suitable mulching material in most situations. Landscape fabrics are a form of ground covering, and thus their use may technically fall into the category of a form or type of mulching. Over time, however, weeds may root directly into the landscape ground cover fabric and show themselves to be very difficult to remove – especially perennial weeds that reproduce vegetatively. Fabrics can create a barrier that impedes water infiltration and hinders gas exchange between the soil and atmosphere. Fabrics can also pose a challenge in windy locations as a traditional mulch covering that may be placed on top of the fabric will be more likely to move (i.e. blow) offsite. Though perhaps best used beneath a layer of a non-organic mulch to prevent the loss of material from sinking as a result of the freeze and thaw cycle, landscape fabrics may end up inevitably being more trouble than they are worth. Concern: Woody mulches will acidify soils. Evidence: None; it is typically difficult to significantly alter soil pH. Transient changes in pH may be found in the decomposing mulch layer itself, but these usually have little effect on underlying soils. Concern: Woody mulches may leach harmful, allelopathic chemicals. Evidence: Many plant materials do contain allelopathic chemicals, which can prevent seeds from germinating or kill young seedlings. Most compounds have no effect upon established plants. Concern: Mulches made from diseased trees can infect healthy trees. Evidence: Most studies indicate that diseased mulch cannot transmit pathogens to the roots of healthy trees. Concern: Wood chips could be a fire hazard. Evidence: Coarse textured organic mulches, like wood chips, are the least flammable of the organic mulches. Fine textured mulches are more likely to combust, and rubber mulch is most hazardous. Evidence: Many studies have demonstrated that woody mulch materials increase nutrient levels in soils and/or associated plant foliage. Concern: Mulch will attract termites, carpenter ants, and other pests. Evidence: Many wood-based mulches are not attractive to pest insects but are actually insect-repellent (i.e. thujone produced from Thuja spp.). Termites typically prefer higher nutrient woody materials such as cardboard rather than wood chips. Though not foolproof, the aforementioned mulch management strategies will reduce weed germination and establishment, giving the plants that we desire a competitive advantage and giving us as the plant “tenders” more time to respond. **Note: Massachusetts has a mulch safety regulation in effect (2012). For more information see: 'Mulch Fire Safety’.